In this procedurally generated action-adventure game you explore a world that will always be different. 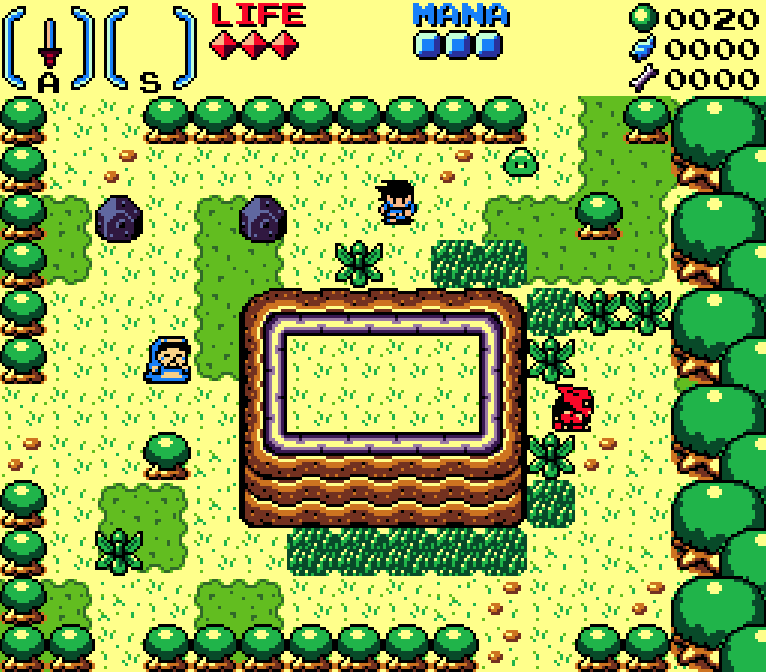 You need to solve puzzles, collect valuable items, fight dangerous enemies and regain the piece of the world by collecting the four ancient relics. Every time you start a new game, you can enter a so called 'Seed'. This is a number that determines how your game world is created. 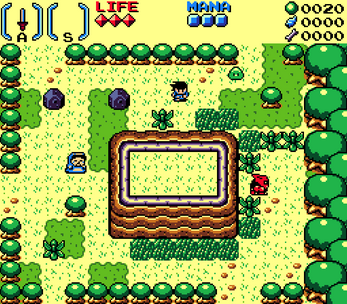 The seed affects the outside overworld, caves, houses, dungeons, NPCs and the quest logic (order of items you have to obtain in order to progress). For the sake of showcasing and simplicity, in this alpha version you will have access to every dungeon of the world instantly. But inside the dungeons, you have to get an item in order to beat it. It's fascinating to see so many different worlds and possibilities, it's an endless adventure! 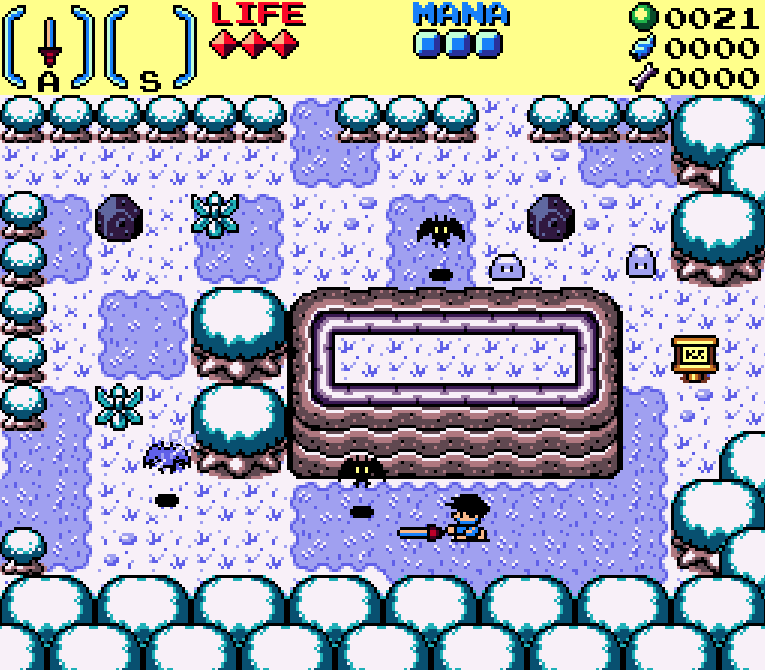 In this early version of the game you will be able to find 5 usable items. Each one has it's unique ways to open up paths and reveal secrets. There are countless hidden stairways and caves outside of the dungeons. They contain value items, materials (which are not used yet, but will be later on) and items that increase your life and mana power. You can talk to persons which will give you advice in finding locations or useful hints on how to find secrets. Consider this more of a tech-demo or very early build, there will be bugs! Which input methods are supported? What if I find a bug? Hey, I like this game! How can I support its developement? I really appreciate any kind of feedback! Do you have some ideas how to make the game better? Did you find things that you didn't like? Please tell me! Also, a donation is very much appreciated and helps improve the game's graphics and audio quality! Thank you very much for playing! Arken - New updated version! Arken - New updated version available! Thank you so much for this game!!! this is quite incredible actually. i enjoy the random world but would absolutely love to be able to save the game progress. the game plays very well so far. This looks so cool! Whish I could play it, got a mac. I'd be happy to try and help get something working for mac. Hi, I tried running the game with wine on mac, but got an error about .NET v4 not found. I'd appreciate if you could do a mac build. I'm happy to help you with that. Hi, unfortunately this is Windows only for now. Seems like the .NET framework is missing, is there a way you can install it with wine? Do you know how to make a Mac build with Monogame Xna? I would happily accept your help. Build Mac versions on a Mac and Linux versions on Linux. Ugh. Use .NET Core (template here) to build self-contained releases that run on Windows, Mac, or Linux without requiring .NET Framework. This is pretty cool, but was honestly a nightmare for me to setup and I cannot describe it all here. Use MonoKickstart to package Mac and Linux runtimes with your game. I've started playing this game like half an hour ago and I must say it's excellent, at least for an alpha ver. I'm really looking forward to it's official release. If you don't mind, can I be reporting some bugs for you? I'm a novice Game Tester and I'd love to develop and increase my testing skills, and I found this Alpha, which is so good that I'd love to playtest it completely. I'll be letting you a few bugs here, but please make me know if you rather not want me to do it anymore. Thanks a lot for the game! That's a great help to improve the game and fixing bugs, so thank you very much! 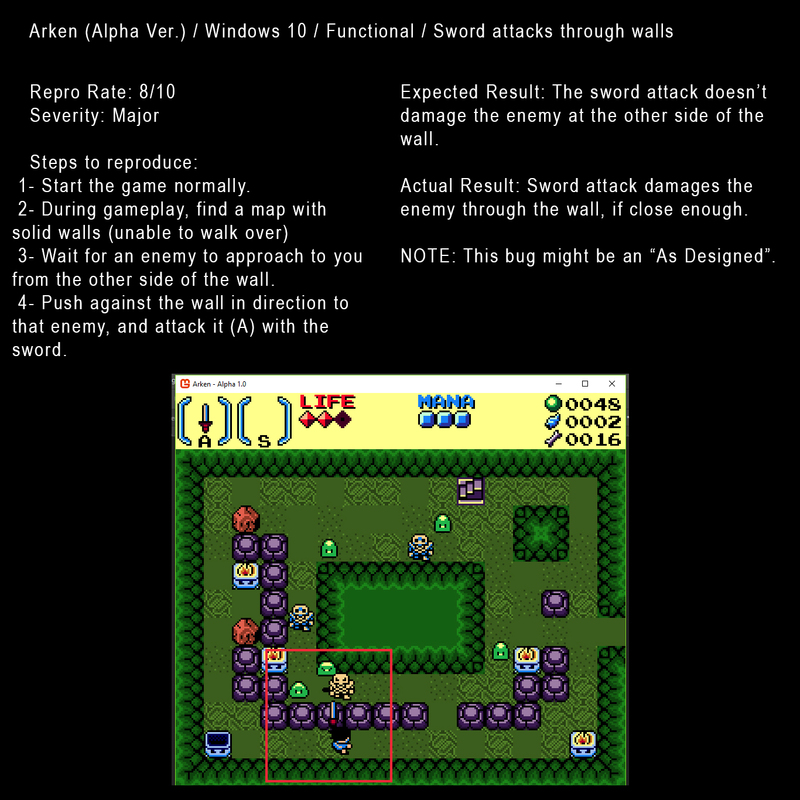 - the sword attack through walls was actually intended, although it seems a bit OP and unrealistic. I might change that in the future. 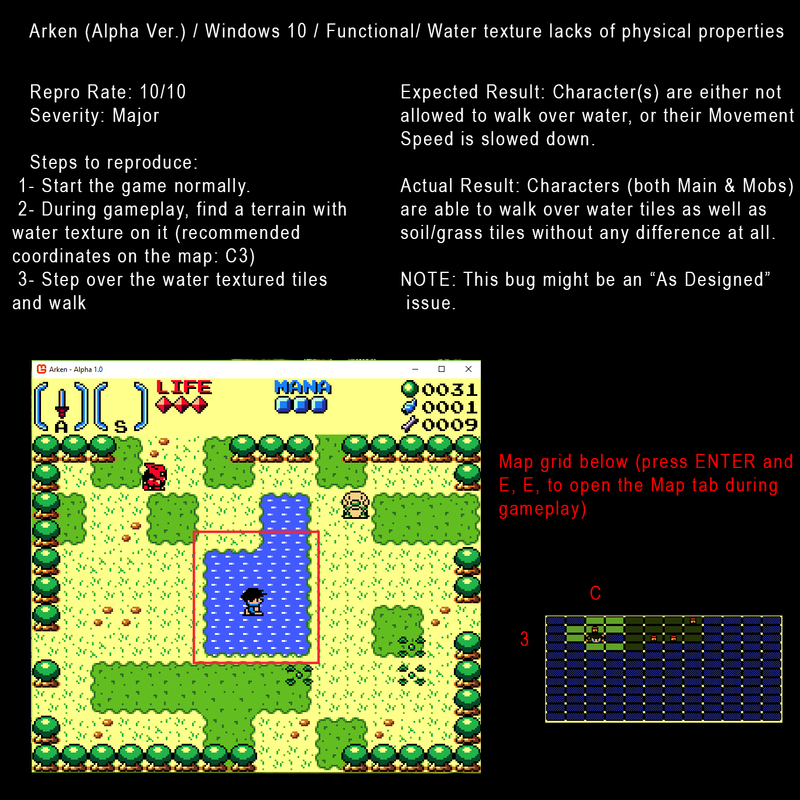 - the water you encountered is shallow water (deep water does not exist in the version you played). 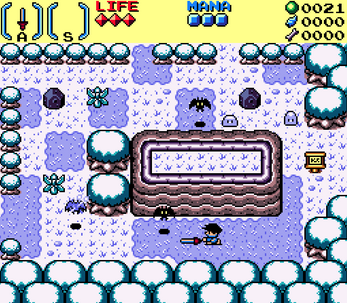 It is intended that the player can pass through normally. The only thing that I want to do here is a sound effect when moving through and a small visual indicator (slight waves around the player's feet). Again, thank you very much and stay tuned for the updated version which will be uploaded today! Excellent then, I'll be waiting for it excited! 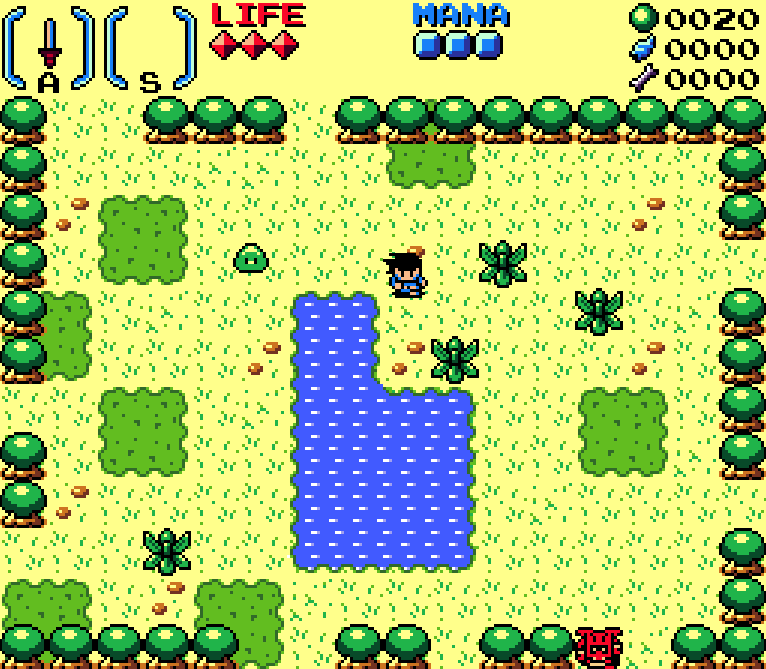 Oh my word, this is very GBC Zelda. Wish you the best of luck. I contact you on behalf of Softpedia's gaming department. We have added your game in our database, and would like you to contact us for further details. Looking forward to the full game and more updates! Definitly recommend, this developer knows what he is doing:))) Super fun so far! This is really coming along! 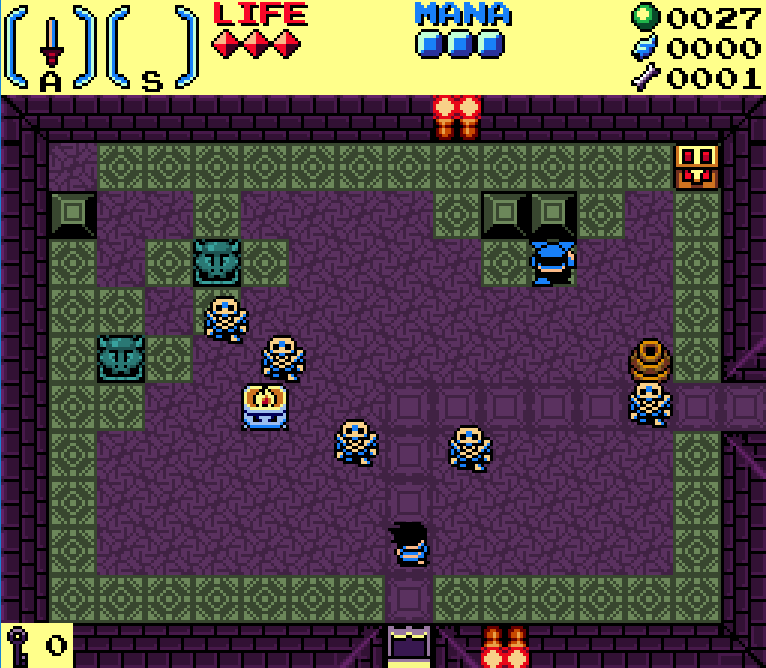 I think the world and dungeons definitely seems proc-gen rather than the hand crafted, interconnected worlds of classic zeldas and the enemy variety is small right now (i know, it's still very early on! 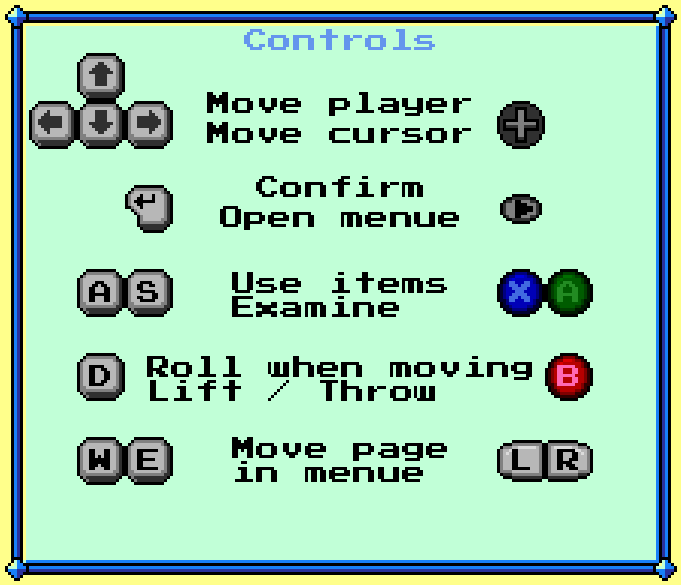 ), but it feels right to control. Everything has the right weight and speed to it. Can't wait to see more.